New Orleans Mayor LaToya Cantrell has agreed to issue an official Proclamation of Apology on April 12th at 11:00am at the American Italian Cultural Center, for America's largest single mass lynching due to the efforts of the Order Sons & Daughters of Italy in America Grand Lodge of New York and the NYS Commision for Social Justice. There has never been an official apology by any New Orleans government official for the tragedy, but thanks to the efforts of the Grand Lodge of New York of the Order Sons & Daughters of Italy in America, that will be rectified on April 12th. 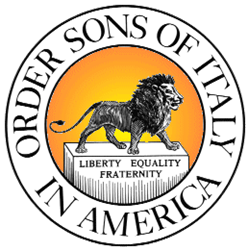 Robert M. Ferrito, State President of the Order Sons & Daughters of Italy in America -- Grand Lodge of New York (OSDIA) in conjunction with John Fratta, Chairman of the New York State Commission for Social Justice, and Michael A. Santo, Esq., is proud to announce an historical event concerning a significant social wound stemming from America’s largest single mass lynching in U.S. History. Given the local New Orleans governmental leaders’ complicity at the time, the tragedy loomed large, not only over the City, but over the Nation, leading to a serious international dispute as Italy cut off diplomatic relations with the United States setting back Italian/American relations for several years.